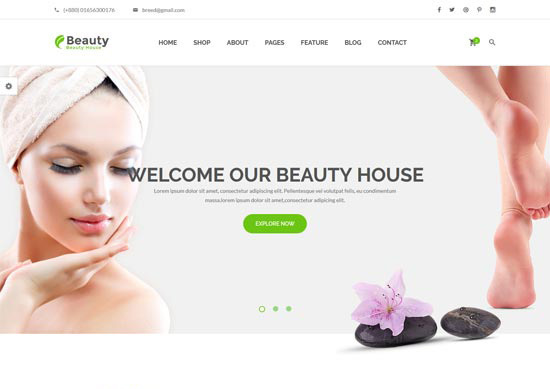 Here is a list of 15 beauty spa and salon website templates. All of these templates are profession, responsive and HTML 5 templates. This is a premium website template. This template has advanced functionality with HTML5 coding. Some of the features of this template are. This template is clean and simple. This template would be great for any spa or salon website. This template is a luxurious website template. 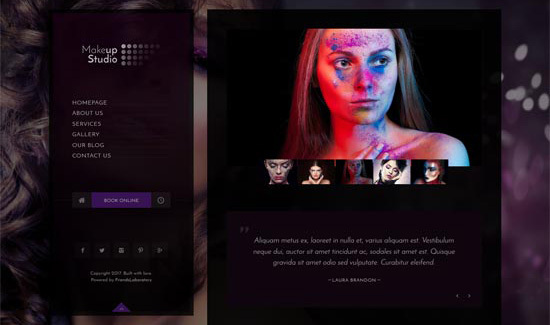 This template is HTML5 and is perfect for any spa, salon, beauty product or service website. 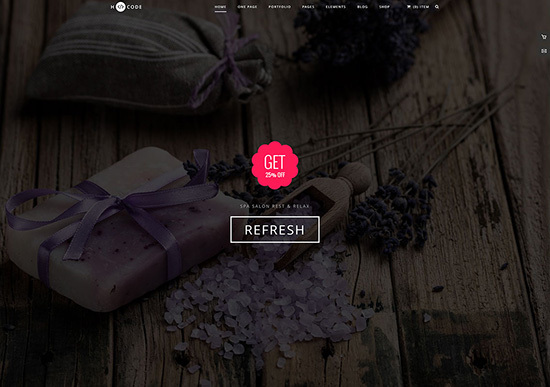 This is a refreshing and light spa website template. 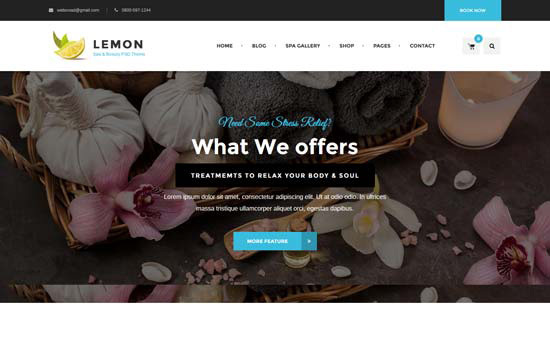 Lemon is easy to customize to fit your website needs. 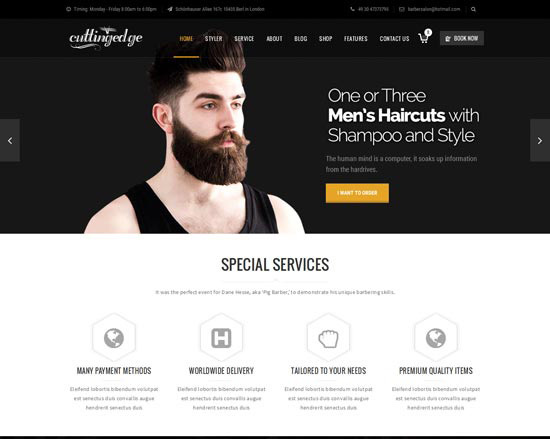 This template allows you to create a creative barber site. There are color options and many pre-made pages to customize this template easily. 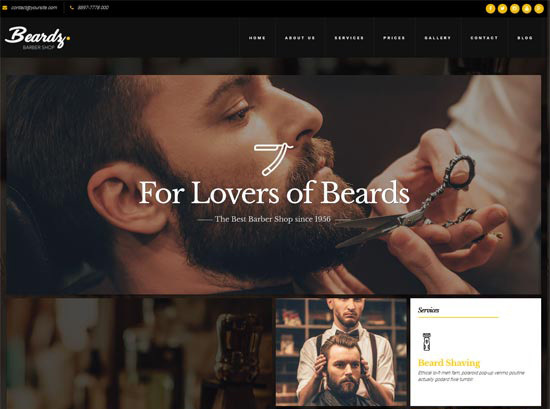 The Beardz template is an interactive barbershop website template. This template has a sophisticated layout but with a little edge. 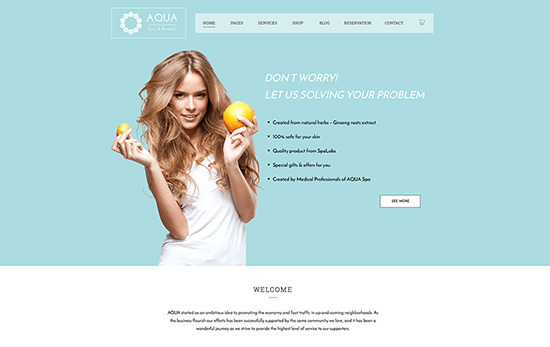 This template has been specifically designed for a spa and salon website. This is part of a creative multi-purpose WordPress framework. You can apply many different skins to this framework to achieve different website looks. This template is TheGem skin. This template creates a charming and warm feeling website. 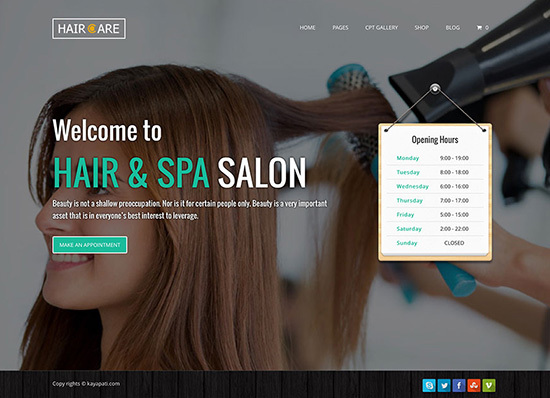 It is very easy to use and will give your spa or salon website a great look. This is a bold, powerful and creative website theme. This is a another fresh, relaxing feeling theme. Aqua’s modern, simple and clean feel makes this a great choice for a spa, salon and wellness center type site. 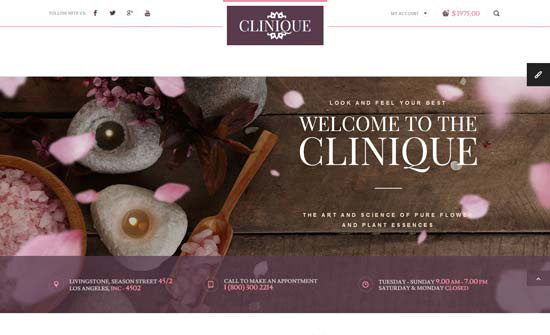 The WellnessCenter template is a great all around template for your spa or salon site. This is a creative template for any salon service site. 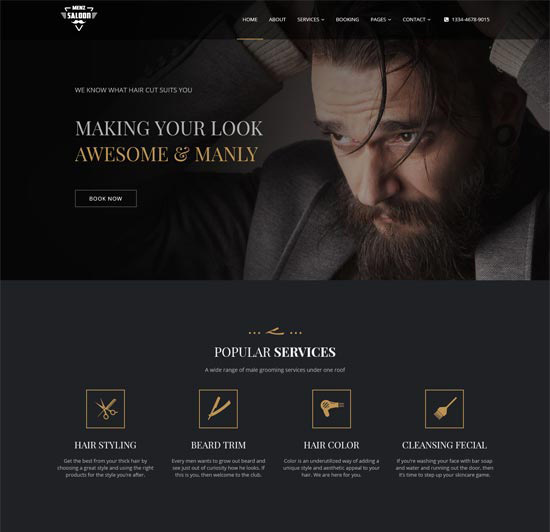 This template is a great minimal and sophisticated design for a barber shop type website. 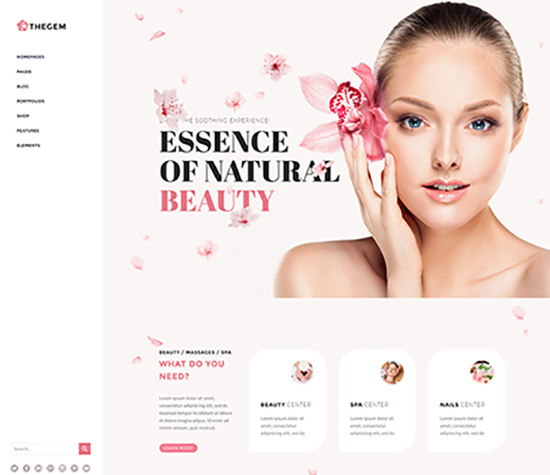 This is a unique and creative template that would be perfect for a salon, make-up manicure or spa site.